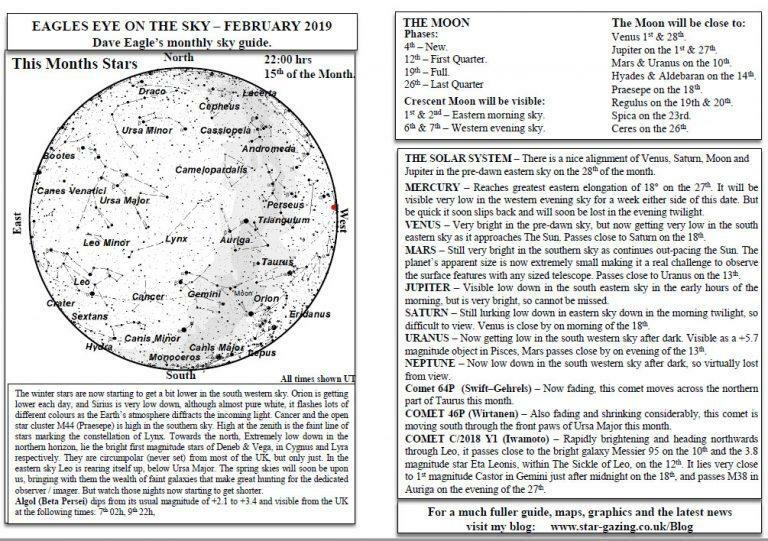 My free monthly sky diary for February 2019 showing the events of the night sky visible from the UK is now available in a printable pdf version for download. Click here, or on the image below to download the pdf. I also have the sky diary to share available on Google calendars. More events will be added to the live Google calendar as more information becomes available.